Less is more. 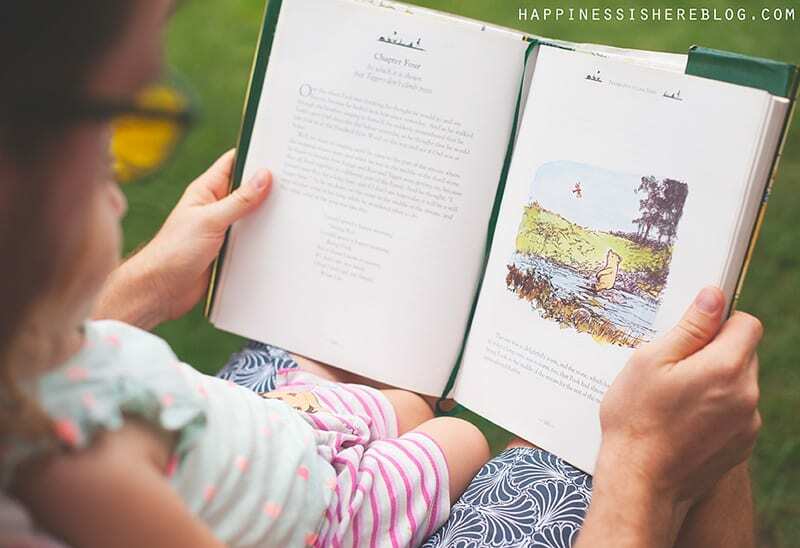 Below Happiness is Here shares six things kids really need (and they’re free!). Winnie the Pooh was my first mistake. A week later and poor old Pooh Bear was at the bottom of the toy box, forgotten. Bother. There were a few more mistakes. Usually flashy, battery operated, plastic. And then I realised that what interested my daughter was not toys designed to entertain, but exploring and learning about the real world. She liked to talk to me, to empty the kitchen cupboards, to eat fistfuls of grass in the backyard. And this stuff did not cost a thing! Did you know that globally we’re spending about $80 billion on toys a year? The toy companies sure have done a good job taking advantage of a parent’s natural desire to want the best for their child. It’s easy to be convinced that we need the latest and greatest of everything. That little Suzie needs this educational talking rabbit or she’ll be left behind and never know how to count! Our houses become overcrowded and stressful to manage, our kids don’t value the things they do have because toys seem disposable to them, and if we have to step on one more piece of lego left on the floor we’re going to scream! It’s time to take a step back and realise what our kids truly need. Put our money away and invest in things of greater value. 1. Fresh air: Kids need to get outside! Time outside for kids these days is becoming alarmingly infrequent. 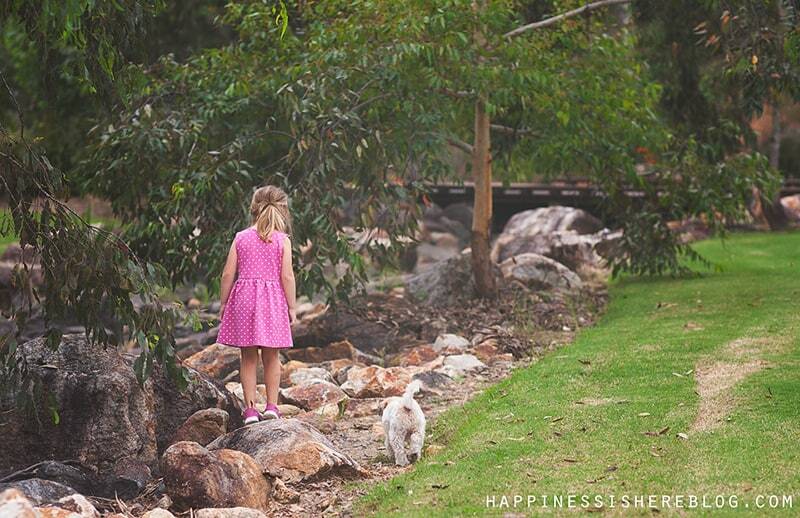 Get them outside to run, jump, explore, climb, and play. Fresh air is good for everyone. 2. 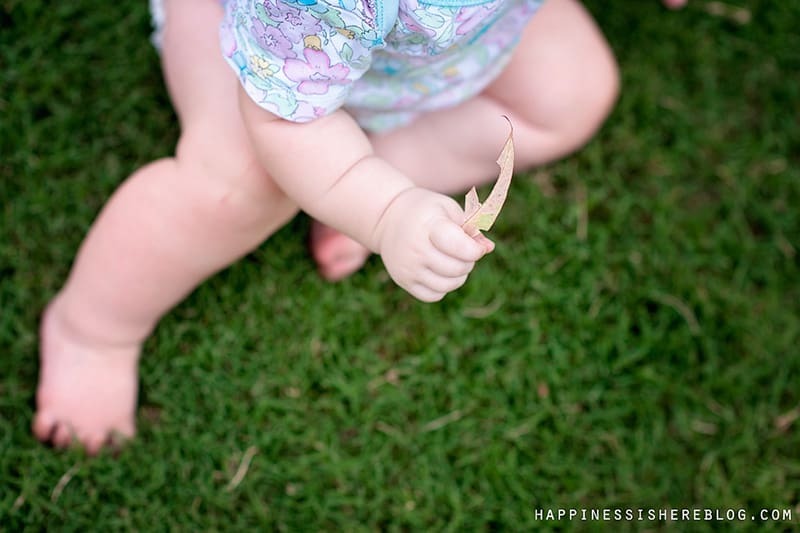 Play time: Kids need LOTS of unstructured play time. Real play time where they can do whatever they want. Away from adult expectations and directions. 3. Unconditional love: Everyone needs unconditional love. Kids need to know that no matter what mistakes they make, it doesn’t change their relationship with you. They want to know that you will always think the best of them. 4. Freedom to experiment: Kids are born scientists. Give them an environment that supports that by allowing them to investigate and explore freely as much as possible. Wonder with them. 5. Nature: Nature is the best toy. Sticks, rocks, water, dirt, grass – all toys that cost nothing at all. 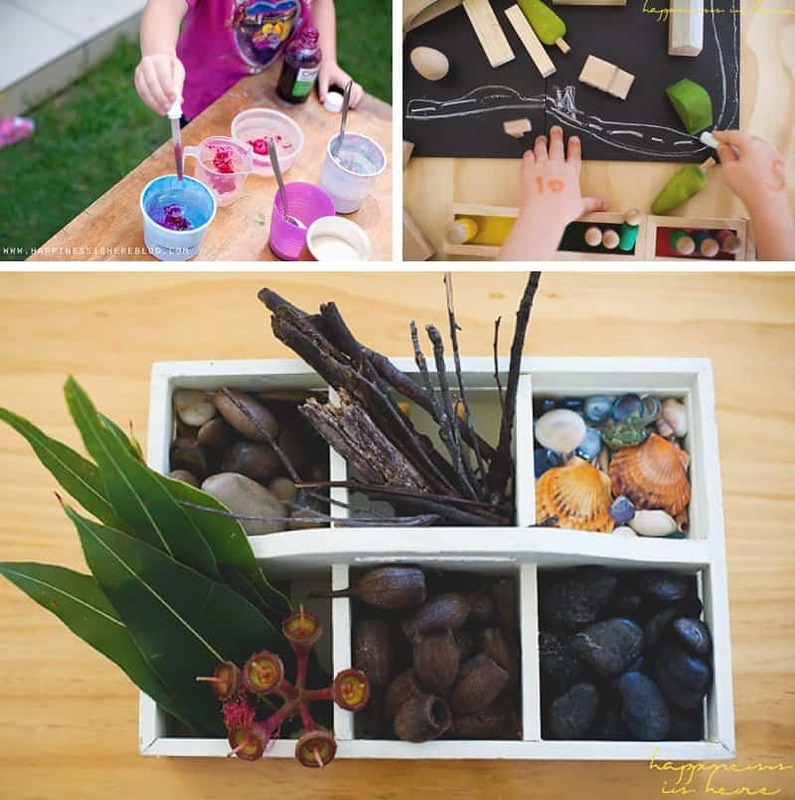 Simple access to natural materials is even better than a room full of toys. 6. Attention: In a world full of distraction, attention is a priceless gift. The number one thing our kids really need is simple- us. A few toys are good. But let’s not believe what the toy companies want us to believe. Less is more! Fewer toys mean: more creativity, longer attention spans, fewer arguments, less mess, and greater resourcefulness. Invest in a small number of good quality open-ended toys instead such as wooden blocks, dress ups, art materials, and imaginary play items. Toys that can be used in many ways invite children to use their imagination and hold their interest longer. Flashy toys that have only one purpose are exciting at first but quickly forgotten. As for my kids, well they adore Winnie the Pooh. But my money was better spent on the beautiful words of A.A. Milne that we could enjoy together again and again. Let’s fill our houses with memories instead of things. Moments instead of distractions. « Solar Print Art for Kids: Make a Handmade Mother’s Day Garland! 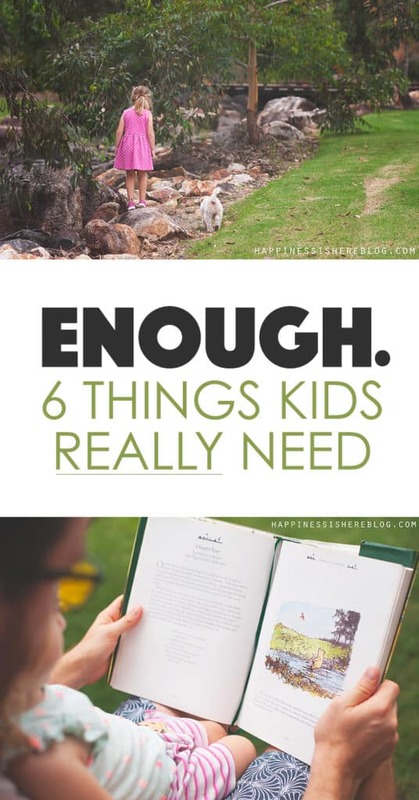 I agree with your views on “less is more,” which leads to your “Six Things Kids Really Need.” Number three, which is “unconditional love,” says it all. While I realize you were going for “free” things, you’ve got to have books on that list. Maybe as a subset of attention- reading to or with your kids. Great article. I see so many kids that have no appreciation for anything and a big part of it is because so many parents buy them whatever they want. I also agree with how important it is for children to have time to just play outdoors. It’s hard these days since parents are so worried about bad things happening, but it’s so important.